Can You Reheat Duck? | Can You Reheat? Q: Whenever I go to the supermarket, I always see duck in the freezer aisle. I know how to cook duck, but reheating it has always been a mystery to me. It is a rather greasy meat, so what is the best way? A: Duck is a heavier meat of fowl that is true, but reheating it is just the same. With most fowl, the oven will be the most reliable option as you can carefully control the temperature, and you can ensure it does not dry out. When using the oven, it is very important that you allow the duck to warm slowly. Preheat your oven to 300 degrees F. While your oven is warming, lightly grease an oven safe dish and spread the pieces out evenly. If you are layering or you have very thick pieces (such as the breast), it will take longer to warm through, and they need more space. Cover tightly with foil and place into the oven. Bake for ten minutes, then uncover to allow the skin to crisp for the last 5-7 minutes of cooking. Remember that thicker pieces will need to be heated longer, so be sure to keep an eye out for any pieces that may be drying out. The duck has long been avoided in many kitchens for the fear it takes too long to prepare. Now, with pressure cookers, slow cookers, or just a changing economy, duck is becoming more accessible for more families. No need to gorge on this delectable meal, reheating it is easy and simple using the oven. 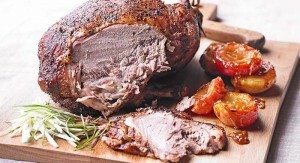 Make sure that the meat is steaming all the way through before consuming to lessen the chance of any food bore illness.